stranded in the shallow canals of the pit. 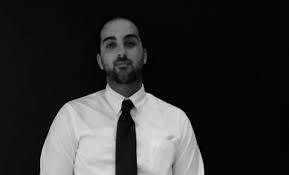 Tamer Mostafa is a Stockton, California native whose work has appeared in various journals and magazines such as Confrontation, Triggerfish Critical Review, Mobius: The Journal of Social Change, and Phantom Kangaroo among others. He is the founder and editor of Subject to Surveillance, a literary journal geared towards giving the Islamic population a voice to speak out against oppression, discrimination, and stereotyping.